We're all excited to be heading in to November, with the race that stops a nation. Our team will be heading out for celebrations for the day, and it promises to be a day of fabulous dresses and smiles. On the work front, Christine and myself have been incredibly busy seeing to smiles, whether it's a health check, or rebuilding a smile, we have spent each day, with our wonderful support team, and are honoured to be in a position to oversee the dental health of all of our patients. Some of our patients have been in since grade 1 and are now in University, which always amazes us, and we get to know the children who visit us well with 6 monthly preventive care and maintenance appointments, and see them grow up. November to January is always an extremely busy time for our practice as we head towards the closure of the year. Please let us know if you require some time for your dental care, so that we can reserve time. Sonia is on 07 3391 2504 to help with scheduling. Wishing everyone a wonderful spring, and look forward to seeing our patients and friends soon. 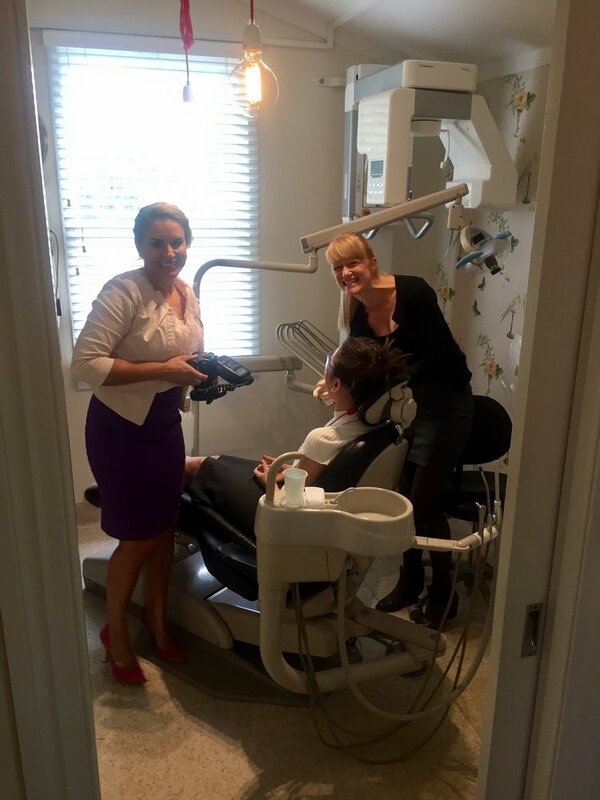 I have found myself amongst some great personalities with immense support, and thousands of wonderful smiles that pop in and out for dental health care, and a lovely practice, with its serene river vista from our dental chairs.